Take a look and give these YouTubers a subscribe if you like their content. They are all worth a look if you like tech/gadget/unboxing/gaming videos. Not really new tech news, but something i want to share nonetheless. 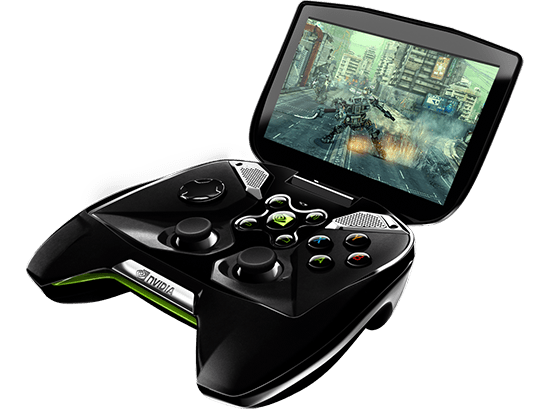 Made by the computer hardware company, NVIDIA, The Shield is, in short, a Android-based gaming machine, but in my eyes it is much more than that. Here is a machine that runs faster and has better graphics than most handheld devices on the market (all current smartphones included). Here are the specs. This is a beast of a machine that also includes mini HDMI out so you can plug it into a TV and game how you would with a normal game console (and get similar graphics). The controller is solid in your hand and doesn’t show signs of weakness. Android Jelly Bean paired with the Tegra 4 provides for silky smooth features with high frame rates. The front facing speakers will blow you away whether you are gaming, listening to music, or screening a flick off of Neflix. Another great feature and use of the system is emulators. This means you can play all your console favorites from yesteryear on the shield. That is an AWESOME feature.